Author Bailey Sisoy Isgro will be visiting us to discuss her book, Rosie, A Detroit Herstory. 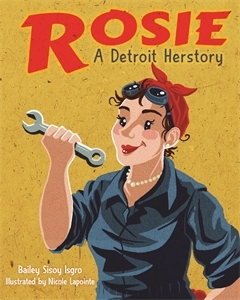 Rosie, A Detroit Herstory is written for children ages 8 to 12, but any reader interested in Detroit or women in history will appreciate this entertaining chronicle. Come and learn more about everyone’s favorite Riveter!